Steve’s breakdown: If you have a better way to “do it” Neiman Marcus probably wants to hear your ideas. They’re firing people left and right and using your agency could be cheaper than handling advertising in-house as they do now. DALLAS, TX: Neiman Marcus said Wednesday that a reorganization of its business to reflect changing customer shopping habits will include a reduction of its workforce. The Dallas-based retailer also said it’s assessing its Last Call outlet division. The Dallas-based retailer, struggling with almost $5 billion in leveraged buyout debt, said it will cut 225 employees, including less than 20 in Dallas. 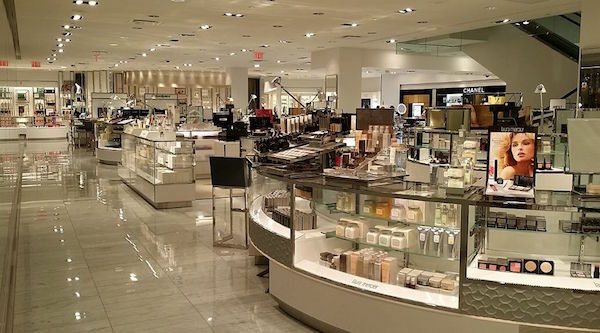 Neiman Marcus said it’s committed to being “a leader in high-end luxury retail” and is streamlining its operations to match its focus to provide a personalized shopping experience driven by digital performance and analytics. “To better align our operations and team with our business strategy, we regularly evaluate all aspects of our business to determine when and where changes make the most sense for our customers and our company,” Neiman Marcus said in a prepared statement after it was asked about staff cuts. The company considered an initial public offering and a sale in the last year but said last month that it has decided to end conversations regarding a partial or full sale of the company. Employees across all brands and operating divisions were told that their jobs were eliminated this afternoon and will receive severance packages, the company said. They will also be considered for other job openings in the company. The job cuts don’t include the recent closing of three Last Call stores — at Allen Premium Outlets on July 14 and two others earlier this year at Colorado Mills in Lakewood, Colo., and Legacy Place in Dedham, Mass. Last Call now has 37 stores but could see more closings. “We are also assessing our Last Call portfolio to optimize our store footprint and ensure we have the right mix of brick and mortar and online stores to meet our customers’ evolving demands,” the company statement said. Last Call stores, which average about 25,000 square feet, are located both in outlet centers and in neighborhood shopping centers such as Inwood Village in Dallas and Preston and Park in Plano. Neiman Marcus has said it’s communicating more with its customers through texts, emails and online. The company was among the first to arm store employees with iPhones to use to communicate with customers and send them photos of merchandise. In June, during a conference call with analysts, CEO Karen Katz said traffic in stores continued to lag from a year ago while its online business improved. Neiman Marcus has been reducing its head count the last couple of years and it’s also had some attrition as many longtime employees have retired or left for other jobs. In Wednesday’s job cuts, some positions are being eliminated and some reorganized, including making regional support staff responsible for more stores. Last summer, the company eliminated 80 jobs, including about 50 in the Dallas area. In October 2015, the company laid off 500 employees, or about 3 percent of its workforce of 16,000 at the time. Those cuts included almost 160 in Dallas, where it employs 4,800 people at its corporate office, its Irving distribution center and in area store locations. The retailer’s total full-time workforce of just over 14,000 compares with 14,300 in 2016, 15,100 in 2015 and 16,500 in 2014. Neiman Marcus has reported losses of $578 million in the last four quarters. In its third fiscal quarter ended April 29, Neiman Marcus reported a net loss of $24.9 million vs. a profit of $3.8 million in the same period a year ago. Total sales fell 4.9 percent to $1.11 billion. While competition has accelerated both online and in stores for the luxury shopper, Neiman Marcus was bought and sold twice in 10 years, leaving it with burdensome debt. In late 2014, Canada’s largest pension fund, Canada Pension Plan Investment Board, and Los Angeles-based private equity firm Ares Management bought Neiman Marcus for $6 billion from Fort Worth-based TPG and New York-based Warburg Pincus. While competitors have also been closing stores, Neiman Marcus has only closed one full-line store in Minneapolis in 2012. It has relocated stores in a market, as it did this year with a new store in Fort Worth. Nordstrom said in June that it’s closing a full-line store in suburban Washington, D.C., and in the last year it closed two others in California. It’s opening three new Nordstrom stores and 12 Nordstrom Racks this year.